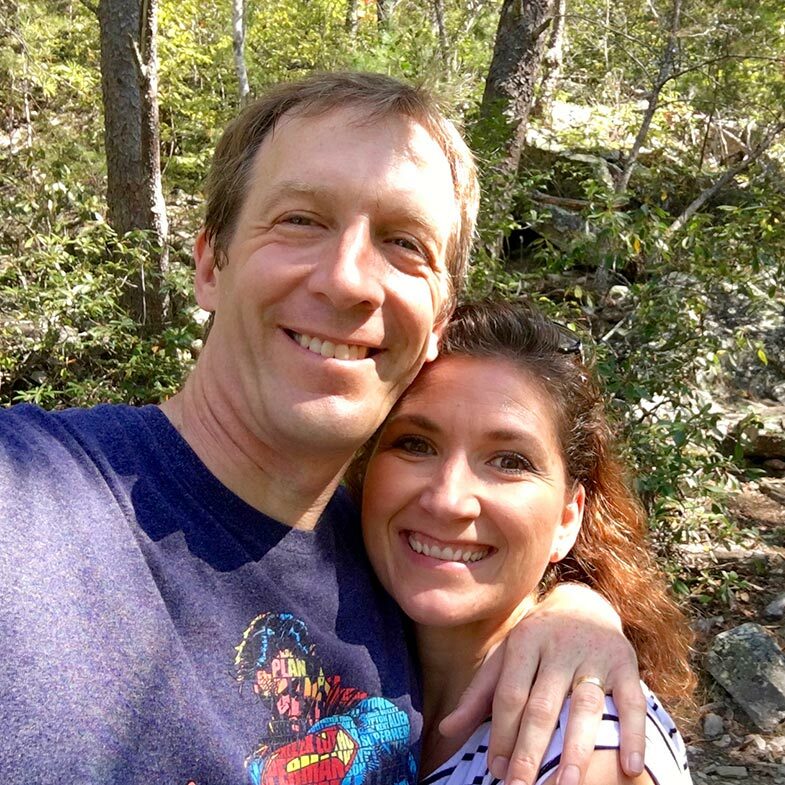 Be sure to check out the other articles in this series for homeschool dads (as well as others specifically written for homeschool dads in days gone by) by clicking here. Now is a great time to go ahead and register your family for TTD2019! Click here to take advantage of discount code NOSHAVE10 before the end of November. PS– I would really love to see you and your family at Teach Them Diligently 2019. Register now using discount code NOSHAVE10 to save $10 off that registration. 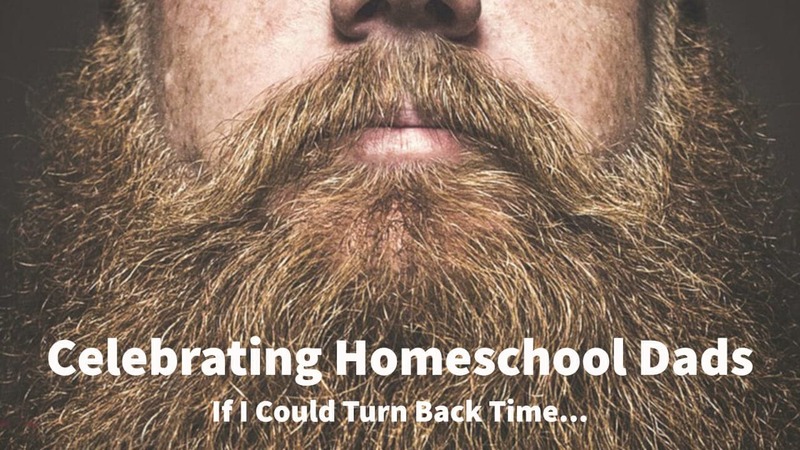 And be sure to check out the contest we’re running this month celebrating homeschool dads and their #TTDBeards! Get full details about how you could WIN a family registration here. 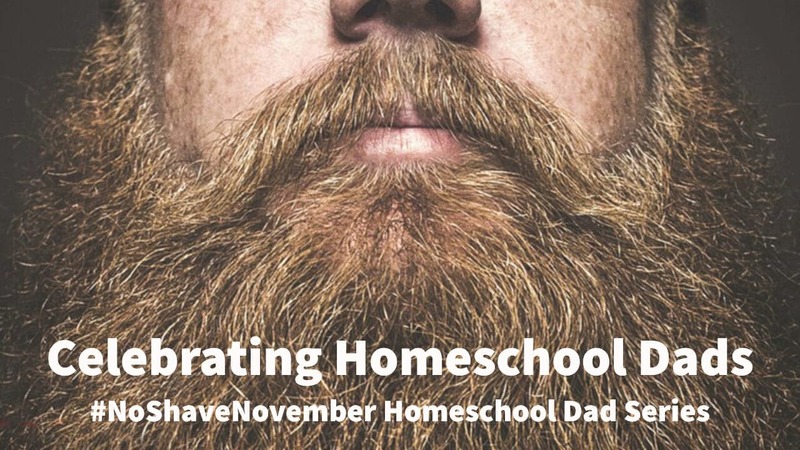 Celebrating Homeschool Dads This #NoShaveNovember!! Be sure to check out the Teach Them Diligently Blog all month long to get some great tips for homeschool dads and get more details on this month’s celebrate dads #TTDBeards promotion. So, show off those manly dad beards– whether they are real, drawn on, or simply imaginary– we cannot wait to see them. Be sure to tag them all #TTDBeards, so we can highlight them on our IG Story. Wondering what a Teach Them Diligently event is like? Download our free What to Expect Ebook today to get a better idea! The ebook for the site you’re most interested in can be found on your event’s home page. Got questions? Check out our FAQ page to get answers to a lot of them! 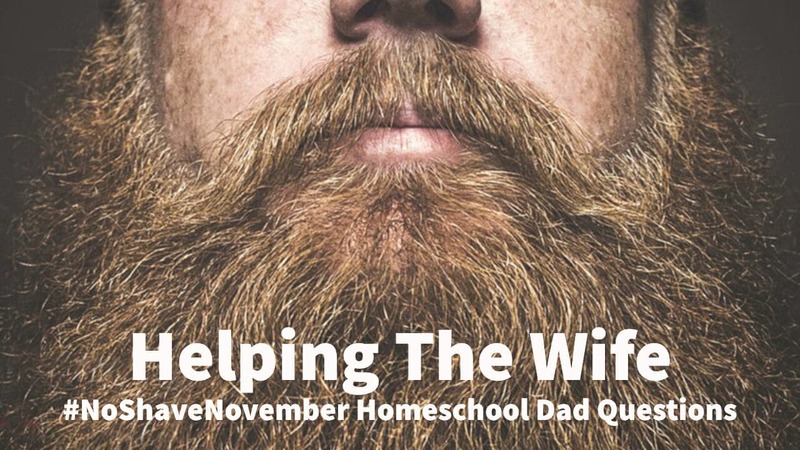 Be sure to check out the first article in the Celebrating Homeschool Dads series this No Shave November as Steve addresses “Helping the Wife.” Click here to read that now— Or, simply search type #TTDBeards in the search bar at the top of the page to see them all as they become available. The legacy of a nation is the legacy of its family and when the family breaks down, everything that is built on that sacred foundation falls down with it. If you look about you now, we are reaping the “rewards” of family disintegrate. We are living in a day where the norm is not to see the parents married to their original spouse. and the worthless toward the honorable. and like Sodom, they flaunt their sin. They do not conceal it. Today in this great country abortions are preformed every single day at a rate of 1 every 26 seconds, the people have forgotten what it means to blush, and they flaunt their sin into the face of a God they no longer believe in. Who dad, who is responsible for this result of where we are now? Us. The dads. The spiritual leaders of the house that have either backed down from our job, or never knew the job qualifications, or knew the qualifications and just did not care. But there is a new day dawning men and it’s time to do something about it! If you keep reading through Isaiah, you will come to the part where Isaiah takes responsibility to do something about the way things are. He says five words that change everything. 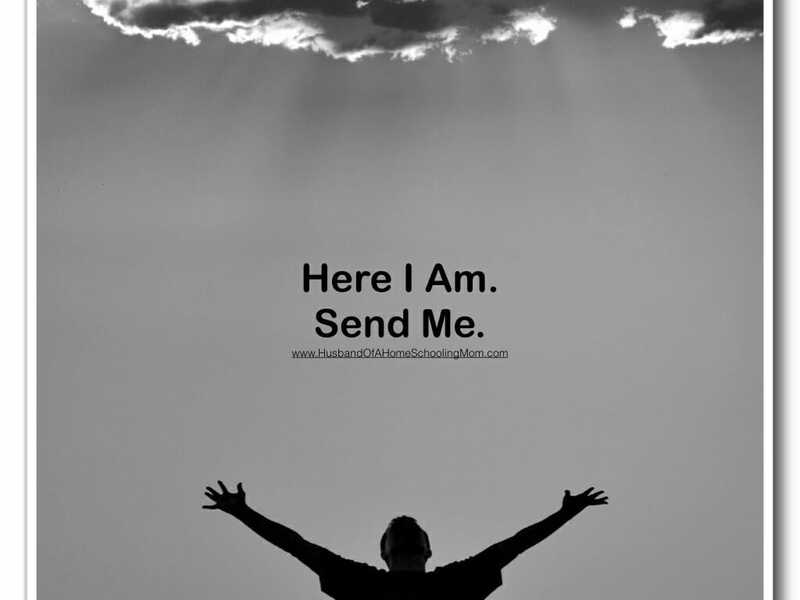 I am not perfect, I make mistakes, I will stumble, but here I am, send me. Dads, this needs to be our mindset for our family. Your wife needs you to be there, to stand in the gap, and declare that no matter what happens in the house, you are there. 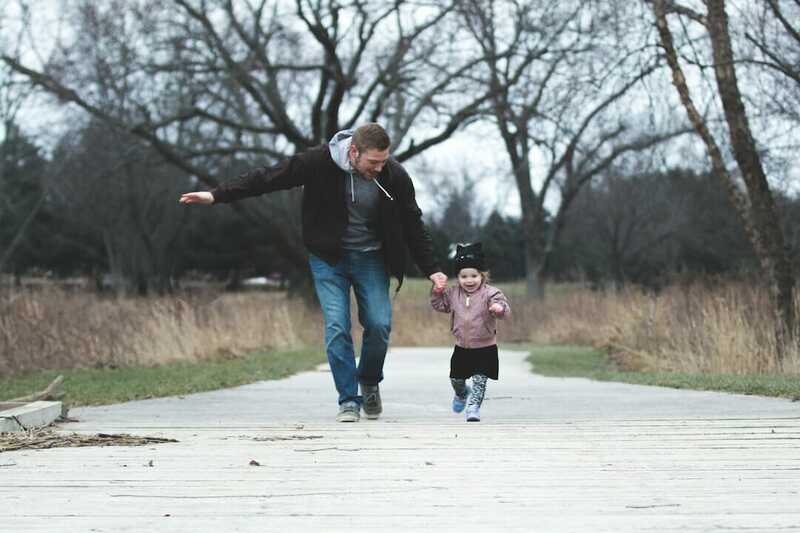 Your kids need to know beyond any doubt that you have their spiritual back, and that can only be done by a dad who is training and teaching them. That can be hard sometimes. Here is a personal example. In my job, I have recently been asked to assume a temporary duty of state construction engineer/assistant state engineer. In taking this job I would receive a temporary pay raise and earn about $2,000 over the next four months when you add up everything. That sounded great at first. Then comes the other part of you will need to be here three days a week. I would have to do one of two options of either driving six hours round trip three days a week or spend the night one or two days a week. Both options would leave my house in a place where I am not here. I would have the ‘send me’ part down, but not the ‘here I am’. Although this would be a great opportunity for my career, I did not take it. Because my first and foremost job in life is that of dad. My second is that of children’s pastor, and taking this opportunity would also stretch me rather thin in that area. The primary place of a dad is at the home, not the office, not the gym, not in a video game, not the ball field, not the golf course, it is home! Send me to do what? Your job at home is to teach your kids diligently! It is the responsibility of the dad to make sure that your kids know who God is. We are to saturate the lives of our kids with Gods words, his actions in our lives, how he leads us, and how he sustains us daily. You may say “Steve, this was never done with me. I don’t know how.” Well good thing you are reading this, because here is a list to start with. It’s not easy men. It is a change that will rock you to the core if you have never done it before. It is also something that will effect your kids for the rest of their life in a positive way. You must remember, God placed you as the head of the house, you are given the responsibility of what happens in the house. So stand up and say here I am, send me. Just let the first place you go be your own house!